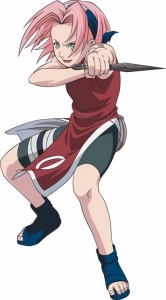 Sakura Haruno is the only female ninja of Team 7. When she first meets Naruto she is physically weak and has an immense crush on Sasuke. She dislikes Naruto as well.The only thing she's good at is her brain as the smartest girl in ninja academy her excellent chakra control, out of that she could be categorized as a kunoichi with no exceptional talent. 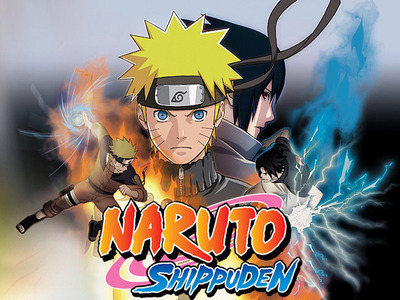 In the first part of the Chuunin exam she is easily able to answer the questions, but in the second part she is unable to defeat the Sound ninja attacking Sasuke and Naruto. She makes a pledge to become a better ninja and a better person. To prove her commitment she cuts her long hair with a kunai.